-Thomas Eakins, in a letter to his father, Benjamin, dated December 2, 1869. Saying that everything he had seen before “was pretty” but “not enough” is surprising. Eakins had just left the studio of one of the greatest painters of his day, Jean-Leon Gerome (French, 1824-1904), and lived in Paris, then capitol of the art world. Eakins’ trip to Spain was a watershed for his personal development, and an indication of the draw Spain had for many painters working in Paris. Thomas Eakins (American, 1844-1916) Self-portrait (1902) Oil on canvas 30 BY 25 IN. National Academy of Design, New York. 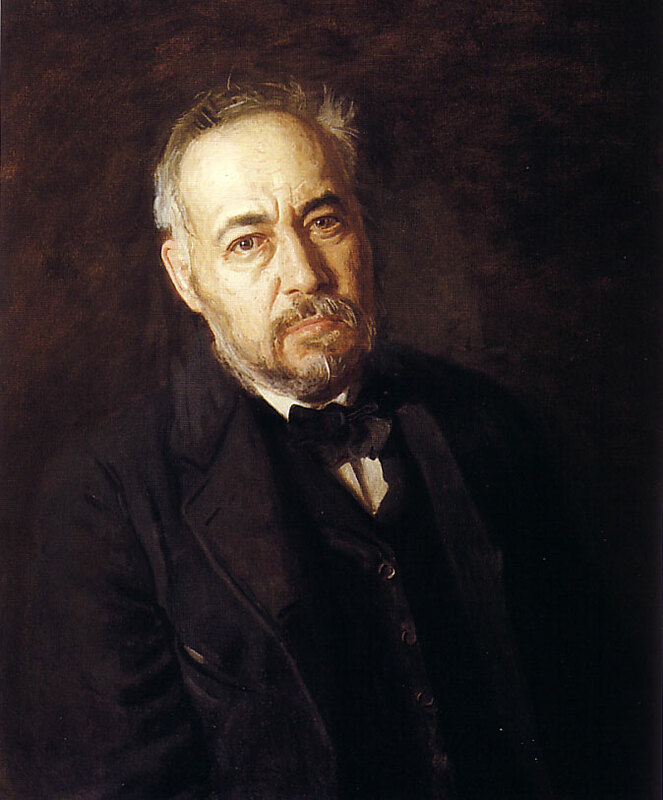 At the time Eakins visited Spain–during of the Winter of Spring of 1869 and 1870–it was considered a backwater, years behind civilized Europe in the arts and economics. Deigo Rodríguez de Silva y Velázquez (Spanish, 1599-1600) Self-portrait (a. 1630) Museo de Bellas Artes de San Carlos, Valencia. Yet, Eakins and a number of other important artists (e.g.. Eduoard Manet, Mary Cassat, John Singer Sargent) traveled to Spain works by Spanish masters in the Prado Museum. In 2003, the Metropolitan Museum of Art in New York, featured an exhibition on French artists in Spain. Titled Manet and Velázquez and with 200 works, the exhibition discussed a newfound love of Spain that grew out of the French invasion by Napoleon’s armies in 1808 and the Mariage of Napoleon III to, Eugénie de Montijo, a Countess of Spanish Royal blood. 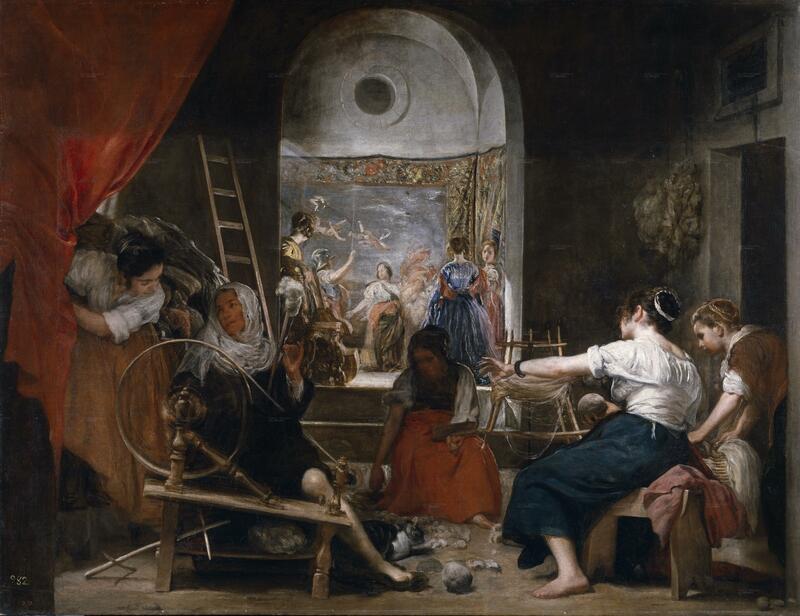 Deigo Rodríguez de Silva y Velázquez (Spanish, 1599-1600) The Weavers (1657) Prado Museum, Mardid. Eakins travelled to Spain shortly after the country’s government was overthrown. Despite the chaos, he was able to visit the Prado Museum and a number of galleries throughout the country. This kind of careful attention to technique was absorbed into Eakins’ own work. Thomas Eakins (American, 1844-1916) Carmelita Requeña (1869) Oil on canvas 26 1/6 BY 17 1/8 IN. Metropolitan Museum of Art, New York. According to M. Elizabeth Boone, author of Visitas de España: American Views of Art and Life in Spain, 1860-1914, it was shortly after seeing these that Eakins made his first original painting: Carmelita Requeña . In it, Eakins mimics Velázquez’s subtle use color and shadow, using very closely-related tones and small gradations of light to dark. 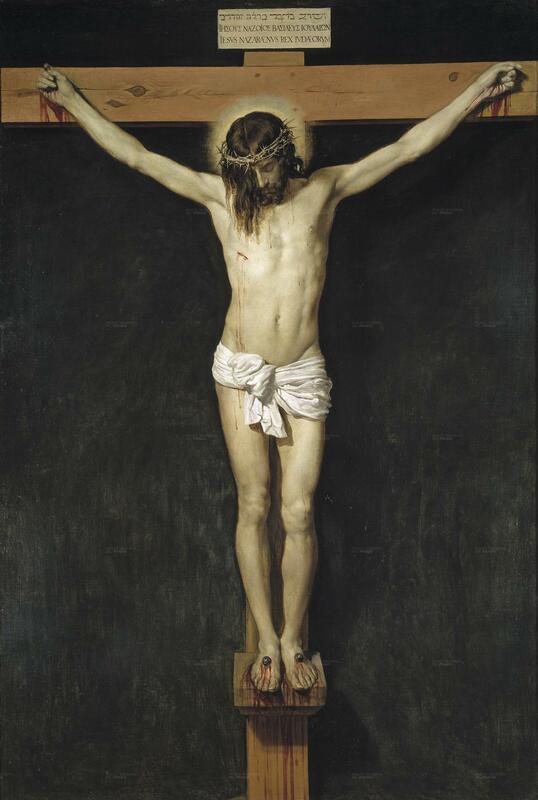 Deigo Rodríguez de Silva y Velázquez (Spanish, 1599-1600) The Crucifixion (1632) Oil on Canvas. Prado Museum, Mardid. 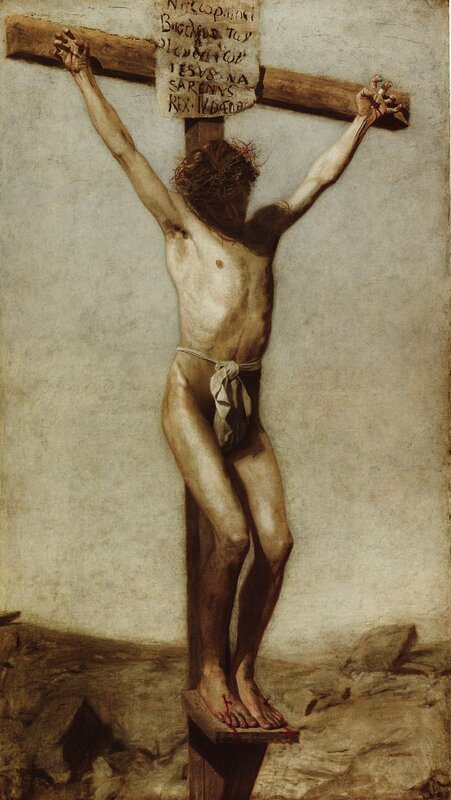 Besides, The Weavers, Eakins was inspired by Velázquez’s Crucifixion, painting a version of his own. Thomas Eakins (American, 1844-1916) The Crucifixion (1880). Oil on canvas. As usual, your thoughts add a great deal. I’ll look up the exhibition on Benjamin West. I hope to write a lot more on the blog and in professional journals about the French/Spanish connection. Though some is written, we’ve only seen the tip of the iceberg.